It’s a weeknight, so you just want to make something that’s: (A) easy, (B) delicious, and (C) plentiful and versatile enough to transform into another dish later this week, when you’ll be too busy/lazy/grumpy to cook. Thankfully, I’ve got just the ticket: Weeknight Roast Chicken! Plus, with the leftovers, you can whip up Madras Chicken Salad. It’s chicken two ways! 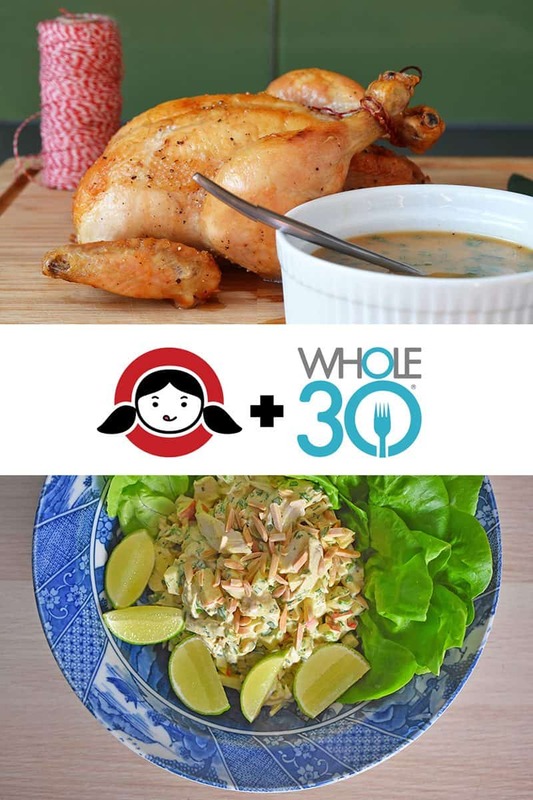 According to Melissa Hartwig: “you are must likely to quit your Whole30 on Days 10 or 11. The newness of the program has worn off. You’ve experienced lots of the negatives but have yet to see ‘magic.’” Does that describe you? If so, fight through it. This ain’t easy, and you may be grumpy and craving some junk food. But you’re already ONE-THIRD OF THE WAY THROUGH THIS. You can do this—don’t let all that hard work go to waste! 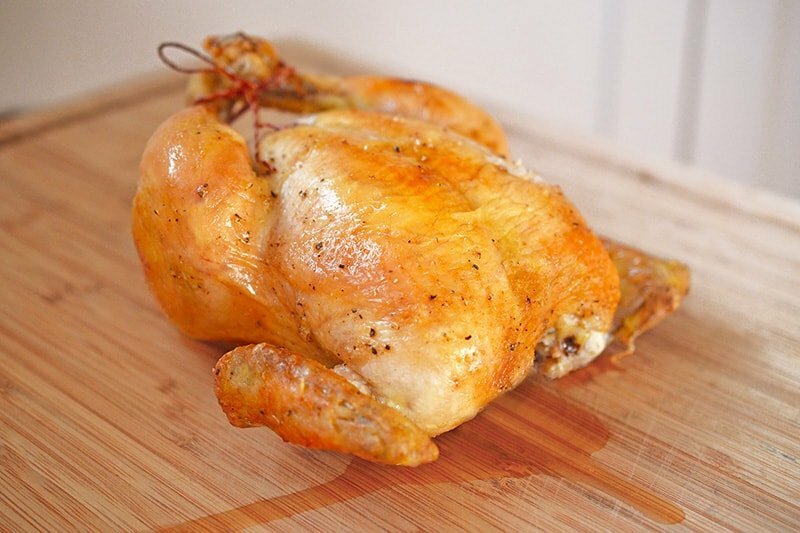 Get the recipe for Weeknight Roast Chicken here! 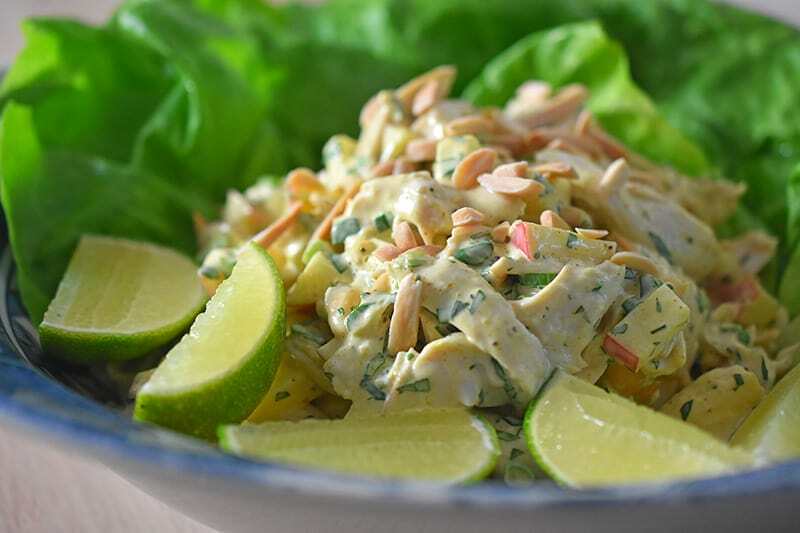 Get the recipe for Madras Chicken Salad here! One more thing: If you’re looking for other ways to repurpose your Weeknight Roast Chicken, my new cookbook, Ready or Not!, contains an entire section of leftover makeovers—including instructions on how to turn last night’s chicken into crazy-awesome dishes like Choose-Your-Own-Adventure Egg Muffins and Chilled Asian Zoodle Salad with Chicken + Avocado. So go grab a copy if you don’t have one yet! Stay tuned tomorrow for my Whole30 Day 11 post—Grab and Go Packed Lunches!